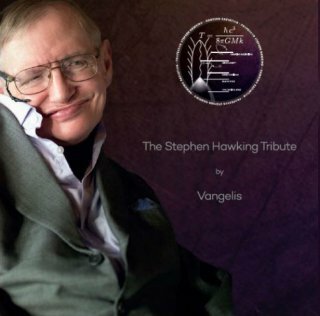 Stephen Hawking Memorialized By Vangelis #MusicMonday « Adafruit Industries – Makers, hackers, artists, designers and engineers! As part of the memorial ceremonies for Stephen Hawking (8 January 1942 – 14 March 2018), the European Space Agency beamed a message of peace into space, featuring the music of pioneering synthesist Vangelis and the words of Hawking. Vangelis, who wrote music for Blade Runner and Chariots of Fire as well as the Cosmos: A Personal Voyage scientific documentary series, crafted the six-minute tribute piece; it features a message of peace and hope from Hawking. The ESA beamed the music towards the 1A 0620–00 black hole from its ground station in Spain. The black hole is around 3,500 light years away. “It is fascinating and at the same time moving to imagine that Stephen Hawking’s voice together with the music by Vangelis will reach the black hole in about 3500 years, where it will be frozen in by the event horizon,” said Prof Günther Hasinger, ESA’s Director of Science. You can listen to the message via the embed below or via the BBC site.